Lync uses SQL everywhere, there are local databases on each FE & edge server, in addition to the backend Lync SQL databases, monitoring databases, archiving database and persistent chat. This article covers the deployment of the FE pool’s backend database servers, in a single pool deployment of Lync 2013 this is the main database role. 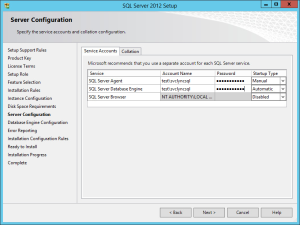 Lync 2013 does not support SQL Clustering, therefore if you want to want to achieve High Availability, you will need to deploy a SQL mirror with an optional witness server. 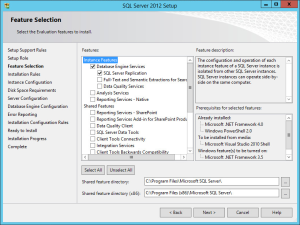 Separate SQL servers are recommended for larger deployments for monitoring, persistent chat and also archiving roles (archiving when using SQL rather than Exchange 2013 integrated). 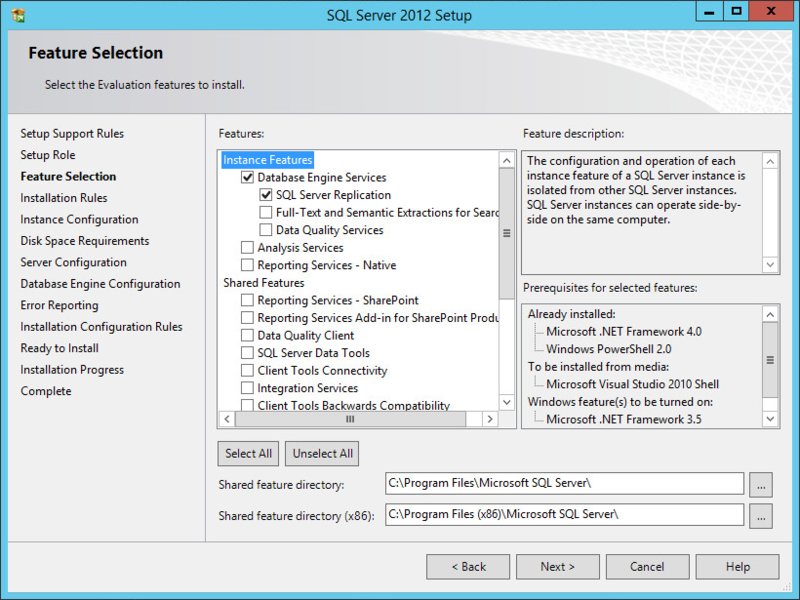 In this lab, I will show some of these roles consolidated on to the same SQL environment. 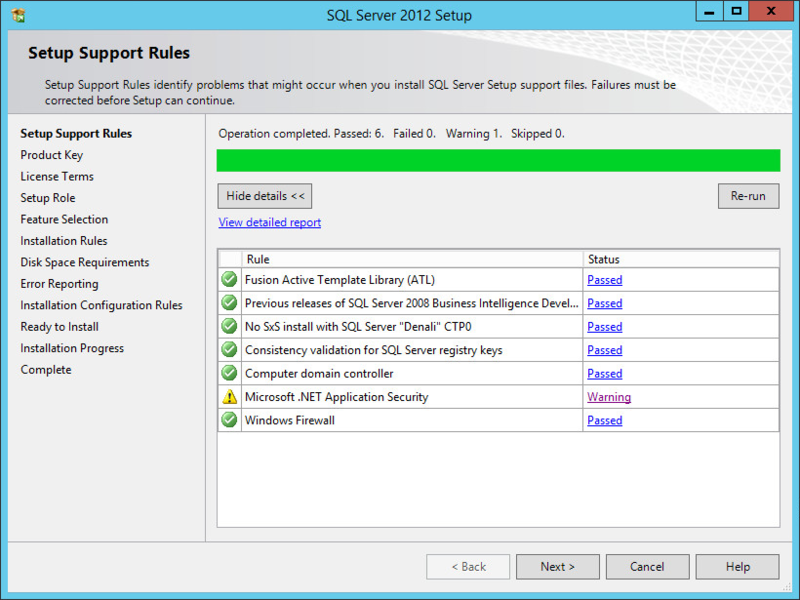 Microsoft SQL 2008 R2 and Microsoft SQL 2012 are supported. 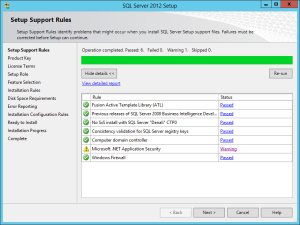 You will need to connect/insert the SQL Server ISO/media to the server, then allow autorun or run setup.exe from the root folder. Navigate through the first few steps, allowing the installer to check your system (setup support rules should pass) and select the appropriate license settings. My system generated a warning due to the test lab not having internet access. 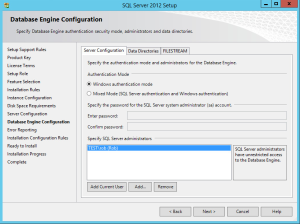 The only required role for the pool backend is “Database Engine Services”, however all 4 are required in my lab to allow all roles to be deployed. The default instance configuration is usually acceptable, then confirm disk space requirements and review the server configuration. 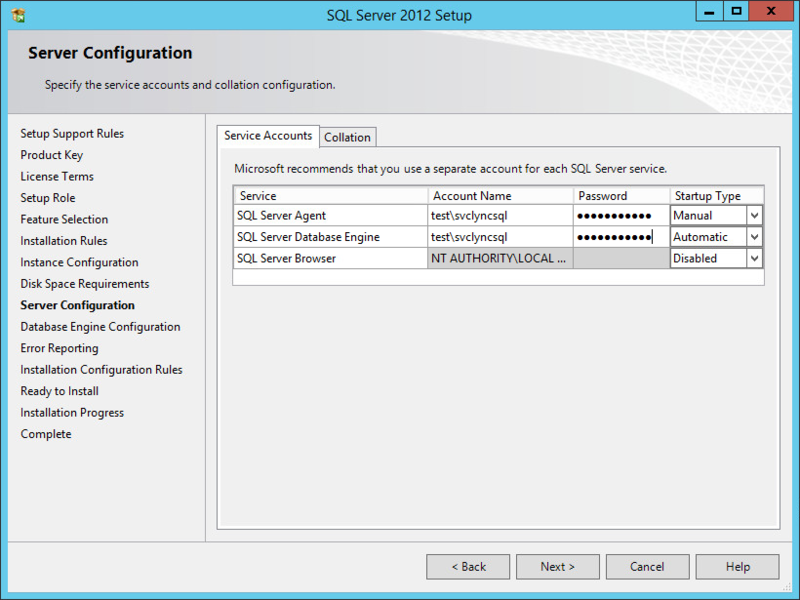 SQL services should be set to use a domain based service account, therefore define that now and create it in Active Directory. 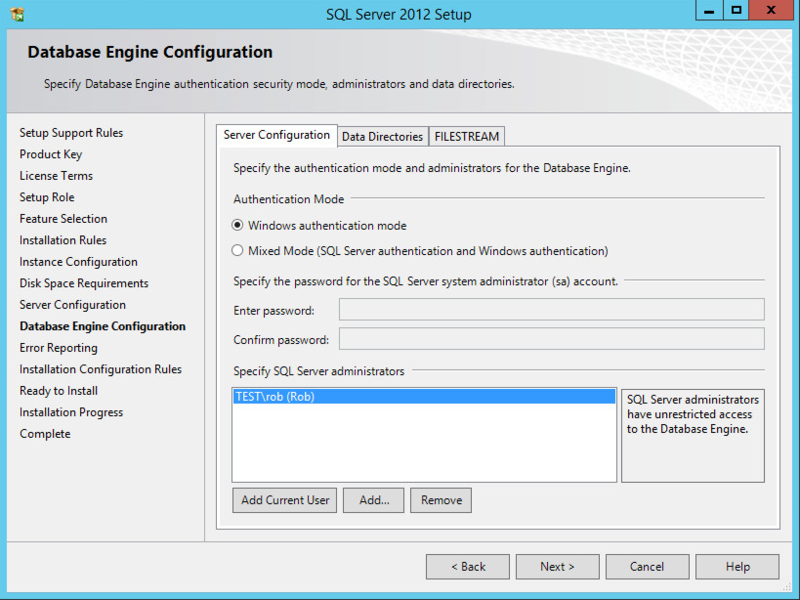 On the Database Engine Configuration page, Add the SQL administrators and also set the data directories as required. You may choose to split out the Database, Logs and Backup/Maintenance volumes in production to optimize performance and improve disk IO, but for the lab these will reside on C:. Providing all the configuration rules pass, complete the install and then your done. If your building the lab from this series, then you will need to complete this process on LYNCSQL01 and LYNCSQL02. While out of scope of this post, I will cover these aspects in a later post. In the next post, I will move on to building a High Availability Lync File Store with DFS.